Transform your outdoor landscape into a luxurious backyard getaway. Turn your backyard into a private haven with the addition of a custom poolscape. Enjoy a beautiful, natural looking lawn without the downsides and water useage of grass. Since 1992 Designer Landscaping has been creating outdoor living spaces in Pennsylvania and New Jersey unique to the lifestyle and setting of our clients. Let us create the landscape you've always wanted! Designer Landscaping specializes in developing the landscape design of residential properties. 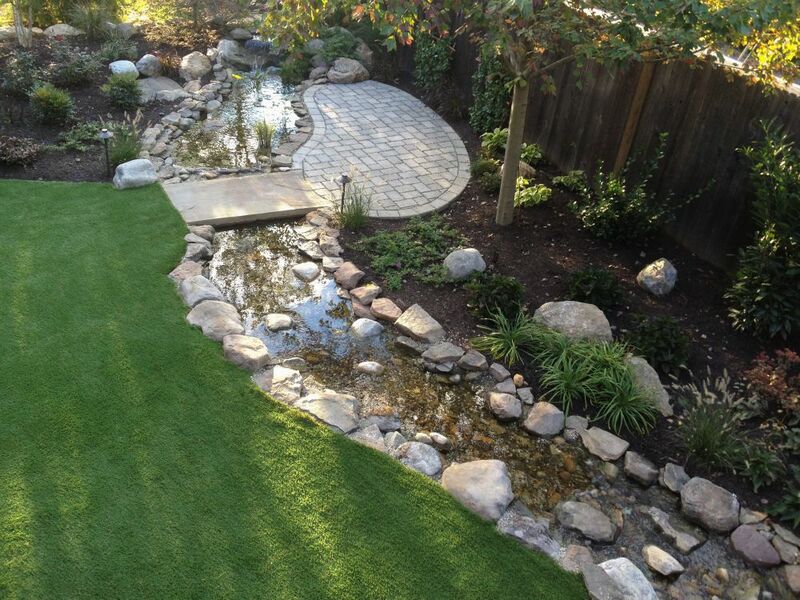 We are professional installers of putting greens and custom synthetic lawns as part of an overall landscaping plan. We integrate your lifestyle with the unique qualities of your property to create an outdoor living space that is a natural extension of your home. Creating outdoor living spaces in Pennsylvania & New Jersey since 1992. Between planning, design and construction, read about how we take on all of our projects. Bethlehem, Allentown, Doylestown, Easton, and Northampton, Phillipsburg, Alpha, Riegelsville, Frenchtown and surrounding areas.